Depending on your locale, sometime between Spring Break and Cesar Chavez Day, there is the celebration of the Easter holiday. This year Easter falls on March 27th. This of course is the Christian faith’s belief in the resurrection of Jesus Christ. According to research conducted by Barna Group, 2 out of every 3 Americans (67%) acknowledge Easter as some type of religious event. Common responses include describing it as a Christian holiday, a celebration of God or Jesus, a celebration of Passover, a holy day, or a special time for church or worship attendance. Of the non-religious set, 8% of Americans said the holiday means nothing to them or that they do not celebrate the occasion. Other non-religious descriptions of Easter included: getting friends and family together (4%), Spring Break (3%), a symbol of new beginnings, rebirth, and renewal (2%), a time to dye and hide eggs (2%), an event for children to have fun (2%), the Easter bunny (1%), an occasion that is too commercialized (1%), and an opportunity to enjoy food and candy (1%). Showing a perceptual gap between political conservatives and liberals, those on the political “right” were nearly twice as likely as those on the political “left” to say that Easter is a celebration of the resurrection (53% versus 29%, respectively). In terms of age, members of the Baby Boomer generation (73% ~ ages 50 to 69) and Gen Y generation (66% ~ ages 35 to 49), were among the most likely to describe Easter as a religious holiday. The young adult generation, Millennials (58% ~ ages 18 to 34), were the least likely age segment to say Easter is a religious holiday, reflecting the increasingly secular mindset of young adults. Even denominational affiliation is telling. While 65% of Catholics said they celebrate Easter as a religious holiday, only 37% of Catholics see the resurrection as the meaning of the holiday. Overall, Protestants were more likely than Catholics both to view Easter as a religious holiday and to connect the occasion to Jesus’ awakening from death (78% and 51%, respectively). No wonder religion is such a divisive subject! Jesus rides into Jerusalem on a donkey. Jesus specifically has the disciples secure a donkey for a triumphant entry into town, fulfilling Zechariah 9:9. (Matthew 21:1-11, Mark 11:1-11, Luke 19:29-44, and John 12:12-19) He knew exactly who He was, the Messiah, and what was happening. Jesus predicts punishment for his detractors and destruction upon Jerusalem. After strongly rebuking the religious leaders, scribes and Pharisees, calling them “hypocrites, blind fools, serpents, and vipers” – what the naive today would call hate-speech – (Matthew 23:1-12, Mark 12:38-40, Luke,20:45-47), Jesus warns the disciples of the coming tribulation, judgment and demise, even obliteration, of the Temple and City within a generation of time. (Matthew 24:1-25, Mark 13, Luke 21) This warning of destruction is again foretold to 7 surrounding churches in symbolic imagery in the Book of Revelation. This judgment and destruction did occur as predicted in A.D. 70. Jesus recasts the Passover meal as the Lord’s Supper, a new covenant. Jesus connects the Jewish feast celebrating the saving of the Old Testament Hebrews to the sacrificial death for the saving of mankind through his blood which will soon be “poured out for many for the forgiveness of sins.” (Matthew 26:26-29, Mark 14:22-25, Luke 22:19-24) This is deep, highly symbolic imagery which shows amazing unity between the Old and New Testament scriptures. All of this happens as the groundwork for that following Sunday, that first Easter. Yes, it seems like Jesus Christ was much more than a carpenter, more than a religious teacher, certainly more than just another really nice guy. We’re not really left with the viable option to take this casually. It’s either true or not. We either believe it or not; accept or reject it. There’s not really a middle ground position here. Fortunately, for whatever reason we are uninformed, misinformed, or staunch in our non-belief, it’s never too late to come to an understanding of just who Jesus was, what He really did and said, where He really came from, where He is today, and what He wants from us now. Beyond the Biblical scriptures, His revelation is all around us. Millions of our fellow humans over history have relinquished to His authority and succumbed to belief and reliance in His Truth, not to that of fallible, created Man. 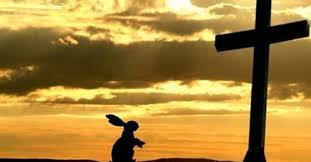 Do you understand Easter and all that it signifies?